Choosing the best beaches in the world is largely a personal matter — but I consulted tons of travel forums and reviews to narrow these down. A lot of it comes down to how beautiful the beach is (again, a subjective consideration). But it’s also about how welcoming you consider the ocean around it. Take me for instance. Growing up on the Atlantic coast near Boston, I always thought of the ocean as something dark and icy cold. I loved its strength and moody pull, but it had an overpowering quality that never went away. It was standoffish; you could swim in it, but it didn’t welcome you. Little did I know that my wanderlust for world travel would get permanently ignited when I went to the Caribbean for the first time! There are four things I love most about a beach, namely when: the sand is pristine or interesting in some particular way; the beach gives me a secluded feeling even if it’s not; the water is beautiful; and there’s a striking setting surrounding it. 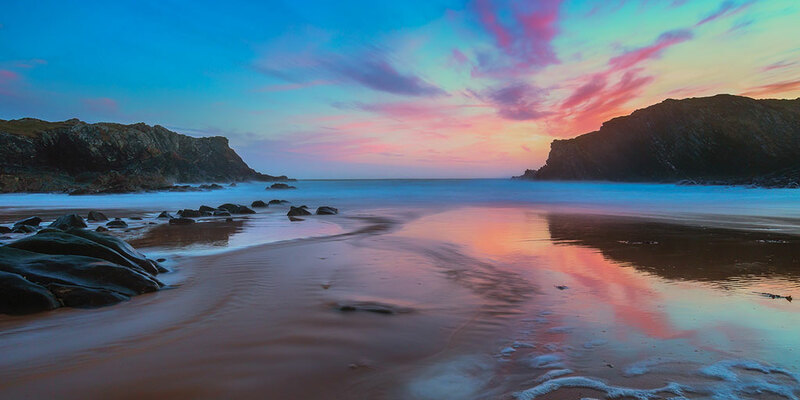 The beaches that I’ve chosen here all fit that description — and the photographers that shot them did a wonderful job at capturing the atmosphere of each. May they inspire your next vacation! 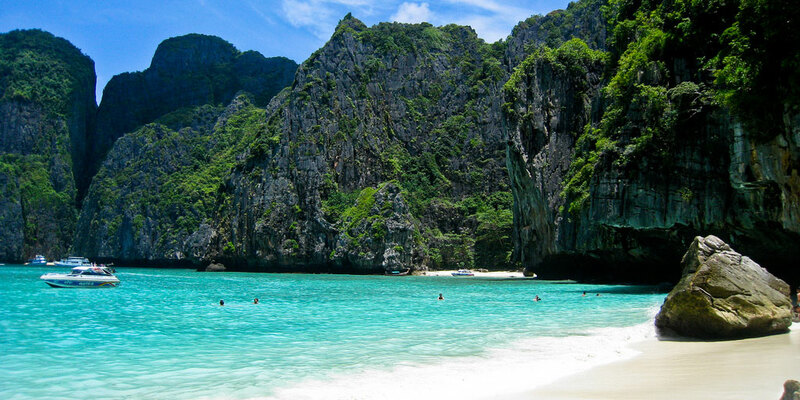 Maya Beach is in Maya Bay, which is a reef in Phi Phi, Thailand. This is the place where the movie The Beach with Leonardo DiCaprio was filmed. Surrounding the bay on three sides are 100-foot cliffs. There are actually a few beaches here, but some are covered when it’s high tide. This one is about 656 feet (200 meters) long. 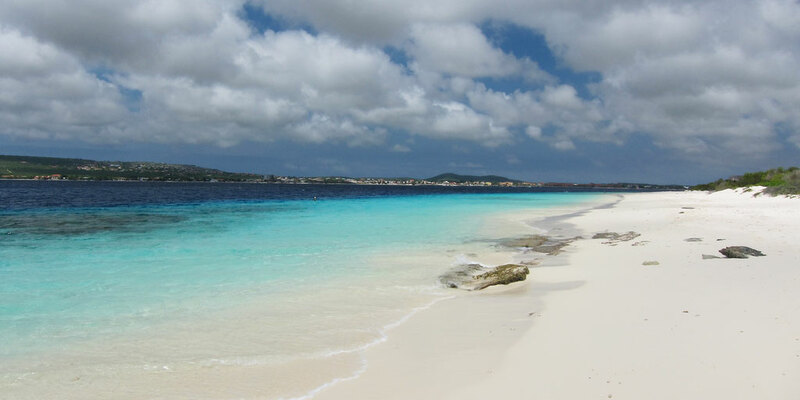 Pros: The water is full of coral and pretty fish, and the sand is soft and white. It’s a great place for snorkeling and sea kayaking. You can pay to camp here, but only on alternate nights. The cons: Like many remote destinations accessed by boat, this one has a lot of water traffic in high season. There’s only one shack selling snacks and drinks, so plan to bring your own. When to go: November to April (high season) because the water is calmer so boats can easily get here. Get there in early morning or later afternoon to beat the crowds. How to get there: Most tourists pay for a tour, from Krabi, Phuket, and Phi Phi Don. Tours are usually for a few hours (about 1,000 baht, or $32), or for a full day (about 2,000 baht or $64). You can enter the bay in your own speedboat, but you’ll pay the National Park entry fee (about 400 baht). That will cost you around 3,500 baht ($110) for four hours or 6,000 baht ($190) for a full day. But usually you can only bring six people max. 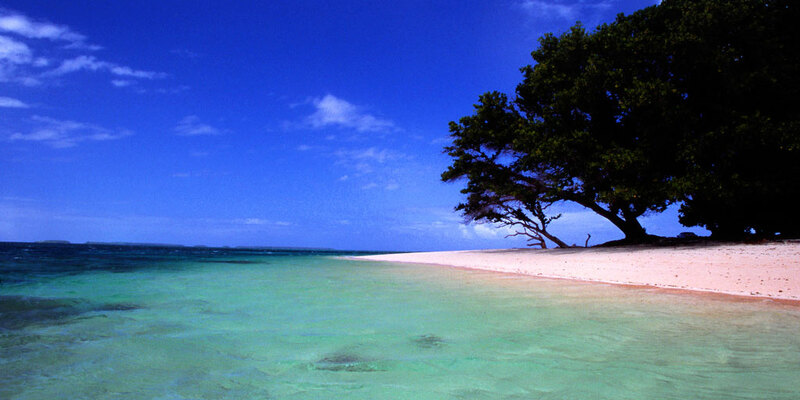 Likuliku Lagoon is in the Mamanuca Islands, in Fiji. 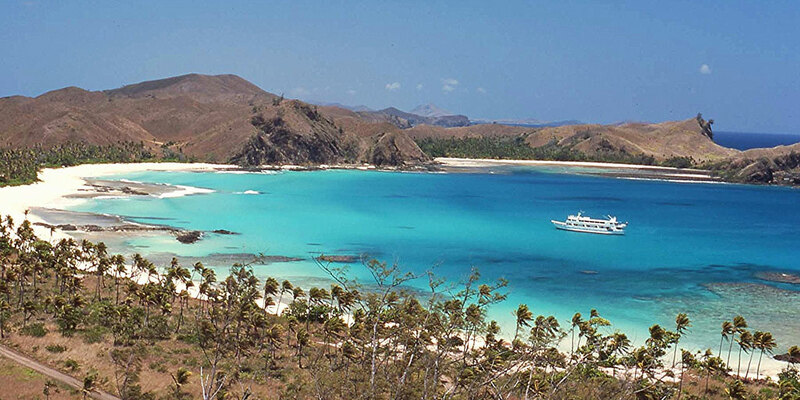 You can take a cruise ship here to stroll along the beaches or go snorkeling. There are many exotic fishes and coral. What else is here: The luxurious Likuliku Lagoon Resort on Malolo Island, which has “bures,” which are small houses designed in the style of an ancient village. The resort’s main building is based on an ancient Fijian canoe house. Some of the houses are on stilts in the water; some are on the beaches. Comes with free Wifi, but video streaming has been disabled! Soft white sand that goes on for 50 kilometers and clear waters make this a popular favorite for travelers to Australia and the locals. Activities include bird watching, fishing, and surfing. 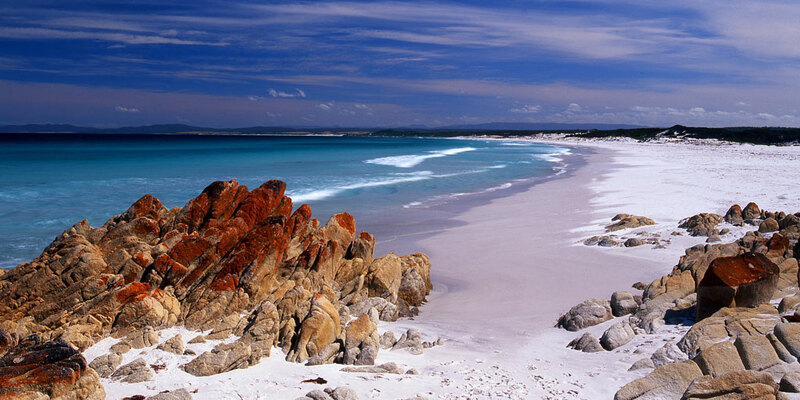 Where it is: Bay of Fires is on the east coast of Tasmania. It goes from Binalong Bay (in the south) to Eddystone Point (to the north). The northern part is in the Mt. William National Park. The middle part is near Ansons Bay. The southern part is the Conservation area. How to get there: Lots of people stay in St. Helens or Bingalong Bay. Some people choose to go camping in one of the Bay of Fires campsites (see the official government Conservation Site website). There’s also a luxury eco-lodge, the Bay of Fires Walk. For more info. on Austrlian national parks, check out this Australian government website. Elafonisi is in Crete, the largest island in Greece and the fifth-largest island in the Mediterranean. 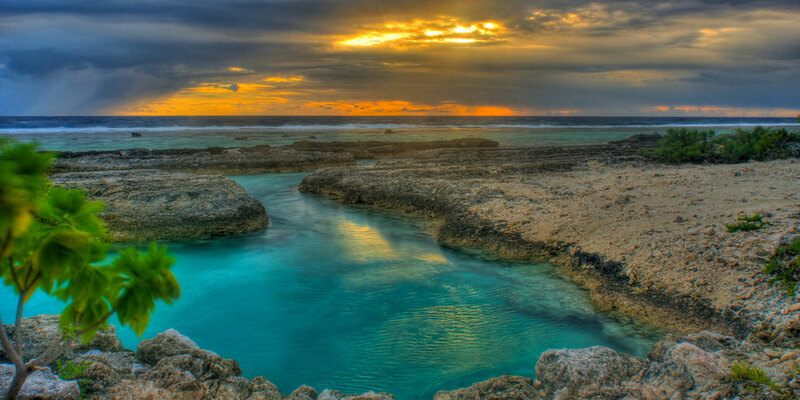 The island is a protected nature reserve and the pastel-turquoise waters are shallow, which makes them easy to walk in. 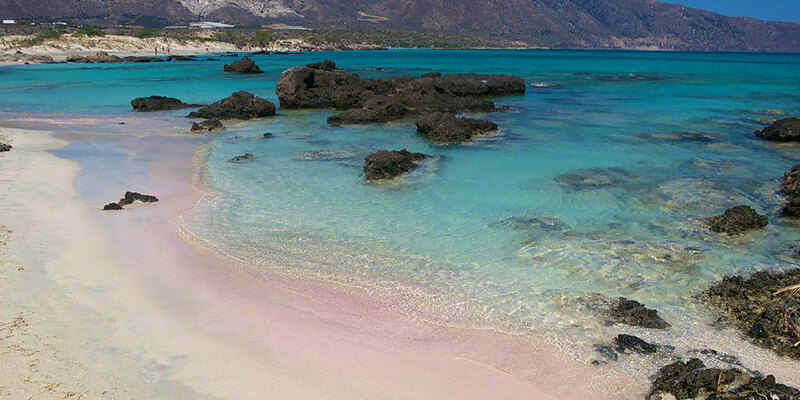 Plus, the sand is slightly pink, which makes it especially beautiful. What else to do: There are some caves and a small church you can visit. You can also hike up to the cedar tree reserve. Bring shoes if you want to hike along the stone beaches, too. When to go: To beat crowds go in April, but people say it’s windy and sometimes chilly. The water is still cold in early May. In July and August it’s packed with tourists coming by bus from towns including Chania (beware: the roads are twisty!). Beat crowds by getting there before 10 a.m. Early October is another great time to go, and parking is easy then. Cons: There aren’t many places to stay around the beach. Tourists say the boardwalks are in need of repair, which makes walking harder for some. Parking is a bit confusing. I’ve read complaints that the public restrooms in early April were locked and gross. Where to eat: There’s a restaurant and a grocery store, but it’s a limited selection. There are also people selling food in the parking lots — things like jars of olives and honey. The Maldives is an archipelago of 1,190 islands (200 are inhabited) in the Indian Ocean. The luxe Constance Halaveli Resort is on its own private island in the North Ari Atoll. The beaches are surrounded by a lush green landscape. They include oversized bean bags. Building have wooden decks that lead right to the ocean. 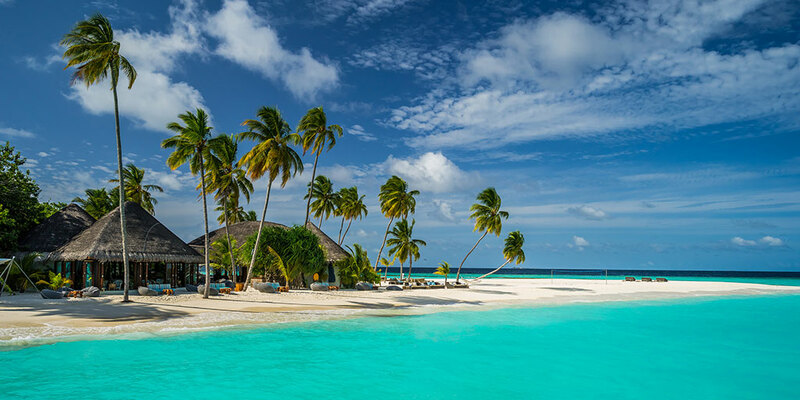 When to go: In general the best time to go to the Maldives is between November and April, when temps are in the 80s. Beware of monsoons from May through October (June is peak monsoon month!). Some people say May is a great time because prices are lower and the weather may be good. Generally the storms move quickly in and out. What the resort includes: Water villas, beach villas, and more. There are three restaurants, wine cellars, and a bar. >>Check out last-minute travel deals and vacation packages on Expedia.com! Tanjung Gelam clean, white sand beach is in Karimunjawa, which is in Indonesia. It’s a big attraction for people who want to go diving and snorkeling. There are palm trees and some volcanic rock formations you can take photos of. The town is nearby, but a bit too far to walk. When to go: Around 3 p.m. the boats start arriving, packing the beaches with partying tourists. 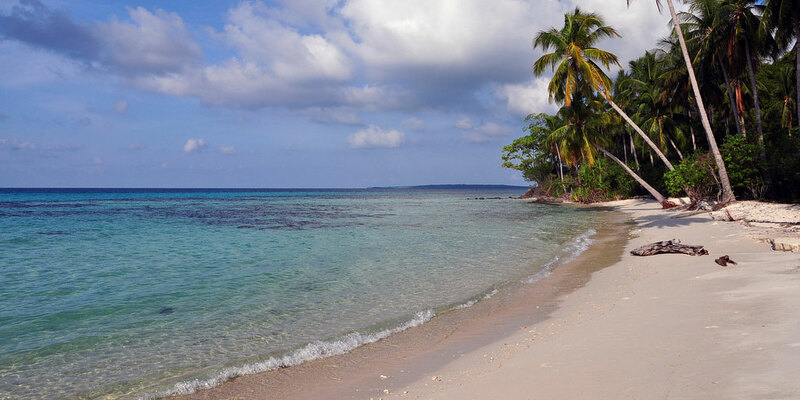 How to get there: By boat or motorcycle from Karimunjawa. Cons: Tourists complain that the food isn’t great — expect to find coffee, beer, noodles, fried food (like tempe and banana fritters), and coconuts. There’s one bathroom, which is often dirty. Frank Guido of Staten Island took this amazing shot during his honeymoon in Bora Bora. It’s the island in the Leeward group, in the western part of the Society Islands of French Polynesia. 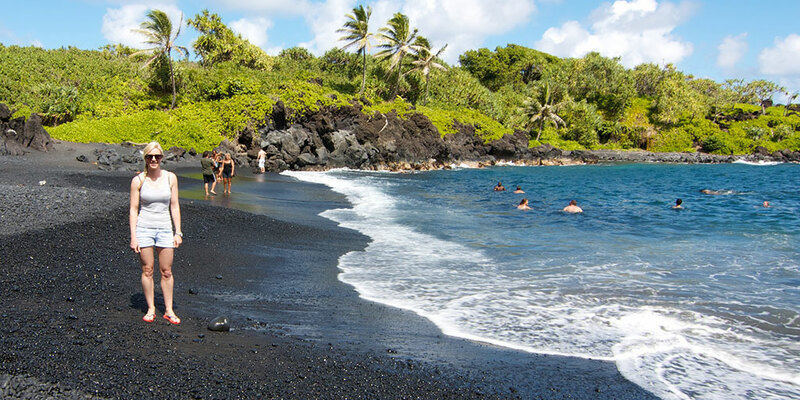 >> If you’re planning a trip to Hawaii, you can save 30% or more from Hotels.com! Stefan Lins captured this view at Laura Beach in the Marshall Islands, which are located in the Pacific Ocean near the equator and are part of Micronesia. He says that “the natural colors ARE amazing and all you have to do is to point your camera towards something and press the button.” Well, that’s pretty modest considering that to shoot it he had to stand in the water amidst strong currents! 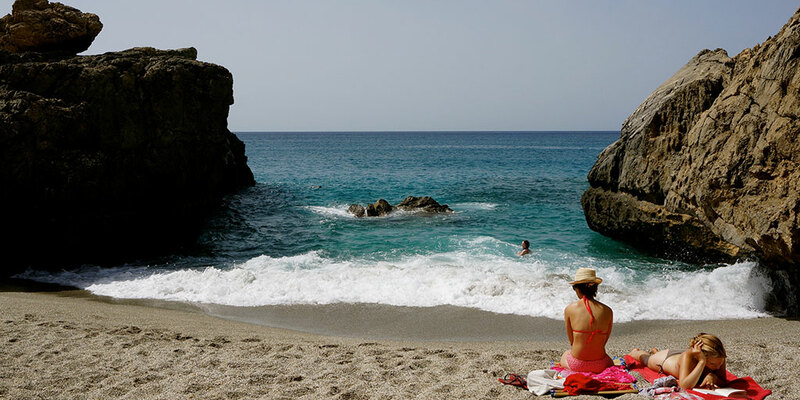 What do you think are the best beaches in the world? Leave a comment below!